CPhS is a national, independent, voluntary, professional association gathering pharmacists of the Republic of Croatia with the aim of improving professional and scientific work in the field of pharmacy. First professional association was founded in 1858; it has operated under the name of CPhS since 1946. CPhS with headquarters in Zagreb operates through 6 regional branches, which do not have a legal entity status. Founded on the territorial principle, they operate in the territory of their respective counties. 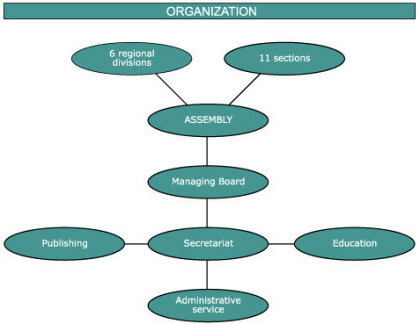 Assembly, Managing Board, Court of Honour, Supervisory Board, President, Secretary General. Only full members can be elected into these bodies. Farmaceutski glasnik – official, monthly professional journal of CPhS, in Croatian, since 1945. Publishes original scientific and professional papers, review articles, contributions about pharmacy practice, history of pharmacy, new health legislation, books and journal reviews, various reports relevant to pharmacy. Acta pharmaceutica – quarterly scientific journal issued by CPhS in English, started in 1951. Publishes original scientific papers, preliminary and short communications dealing with pharmacy and related fields, new book reviews. Prescribed books and forms for keeping pharmacy records/documents. “Dr. Julije Domac” medal – in recognition of outstanding achievements in scientific, professional and social work, only one a year, founded in 1955. “Mr. Ph. Antun Karlovac” prize – in acknowledgement of special contribution to pharmacy practice, only one a year, founded in 1958. CPhS diploma – in recognition of the members’ outstanding activities in sections or branches, several a year. EAHP – European Association of Hospital Pharmacists (since 1998).